Summer annual weeds, like crabgrass and spurge, are best controlled in the next few weeks.. For maximum effectiveness, mulches or preemergence herbicides need to be applied before weed seeds germinate. Top dressjng landscapes with a fresh layer of mulch before spring is another alternative This will prevent most summer annual weeds from becoming a problem. A preemergence herbicide may also be applied before or after mulching. 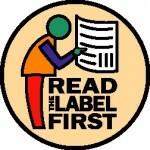 Read the label before buying and again before applying any herbicide. You should know the the identity of the weed.